identically to the primary, will be on standby until a takeover takes place. The primary and secondary systems are both installed and configured. You have verified that both are independently up and running. The number of nodes in the secondary system has to be equal to the number of active nodes in the primary system. (As of SPS06 the secondary system does not need to have standby nodes.) . 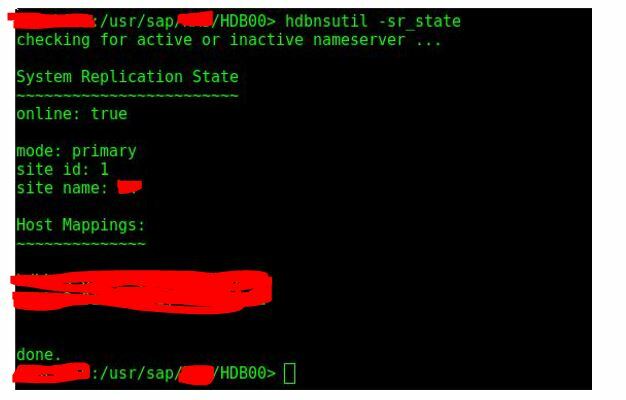 All configuration steps have to be executed on the master name server node;for SAP HANA Multitenant Database Containers this means on the System DB . The secondary system must have the same SAP system ID, <SID>, and instance number as the primary system. The primary replicates all relevant license information to the secondary. Changes to the ini file configuration parameters made on one system should be manually duplicated on the other system. 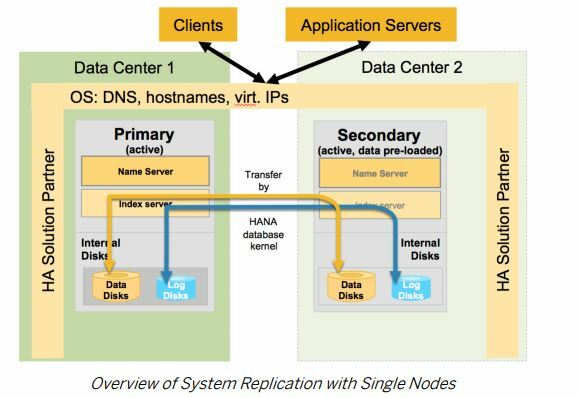 SAP HANA Database version ‘1.00.122.06.1485334242’ will be installed. The defined user ‘SIDadm’ already exists on the system. Neither the password, nor any other attribute of the user will be changed. Verify that the user is correct. Note: The defined user ‘SIDadm’ already exists on the system. Neither the password, nor any other attribute of the user will be changed. All server processes started on host ‘MyHost’ (worker). Log file written to ‘/var/tmp/hdb_SID_hdblcm_install_2018-06-08_08.41.43/hdblcm.log’ on host ‘MyHost’. Stop HANA on the primary node and edit the global.ini and add the exact same lines. Start HANA on the primary node after that . Follow the procedure below to reintegrate the failed old primary system. Thanks for wonderful blog. Really appreciate your contribution in SAP Community. Kudos.